Today is the first day of Lent, so I am starting to think about Easter Bread. Easter Bread is an Italian tradition. My husband's Italian grandmother makes it, my Italian grandmother made it, and my mom makes it. When I was diagnosed with celiac, Easter Bread was definitely one of the foods I missed the most. 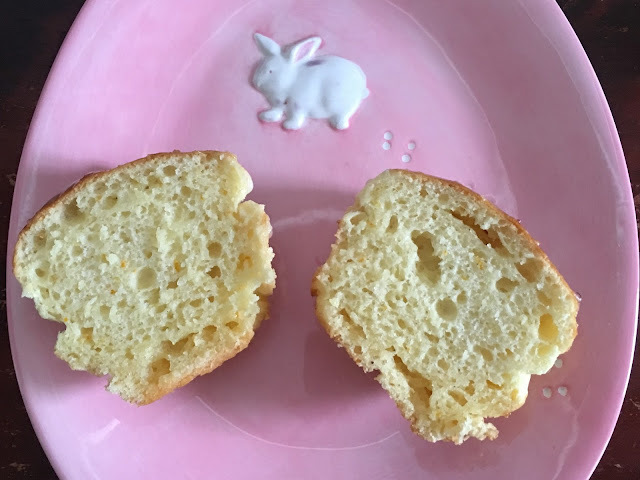 A couple of years ago, I started making a Faithfully Gluten Free recipe for gluten free paska, an Eastern European Easter Bread. The flavor of the bread was amazing, because of lemon and orange zest and juice, but the texture was just a little bit off from the gluten-filled bread I was used to. After seeing a recipe for Gluten-Free Challah with Apples & Raisins on GF Jules, I decided to combine ideas from both recipes and make Easter Bread Buns. Preheat your warming drawer on low. If you don't have a warming drawer, preheat your oven to 200 degrees, then turn it off. In a small bowl, mix together the first 3 ingredients. I proof my yeast on the warming zone of my stove. If your yeast mixture hasn't bubbled and grown after 5 to 10 minutes, throw it out and start all over again with another packet of yeast. Whisk the second set of ingredients, the dry ingredients, together in a large bowl. In the bowl of a stand mixer, combine the third set of ingredients, the wet ingredients. I like to use my dough hook. 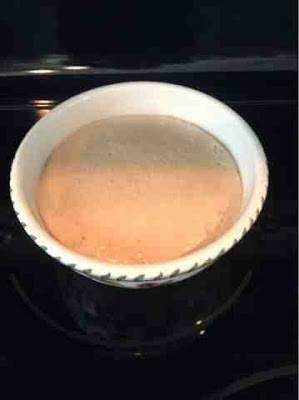 Add your yeast mixture, mixing to combine on low speed. 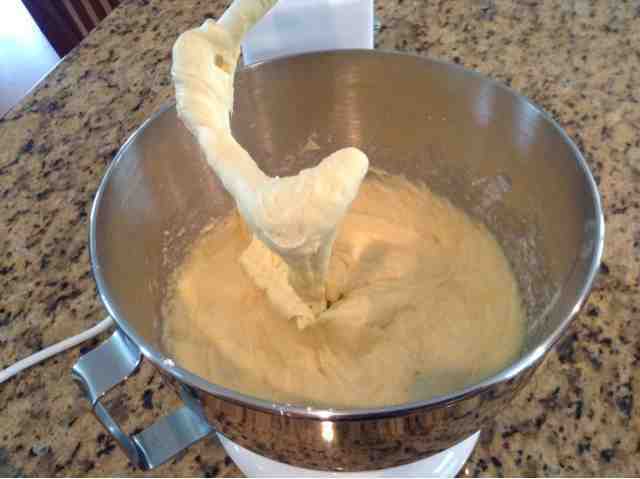 Lastly, gradually add in your dry ingredients with the mixer on low speed. I usually add a few spoonfuls, mix, turn off the mixer, add some more, etc. When all the dry ingredients have been added, mix on medium speed for 2 minutes. 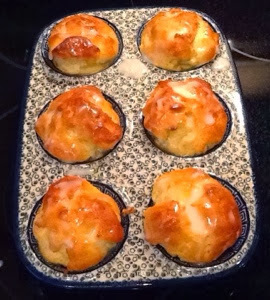 Spray your muffin pan with cooking spray, and scoop a generous amount of batter into each cup. Mix the extra egg and a splash of water together in a small bowl, then brush it over the top of each bun, smoothing the tops of the buns with your pastry brush. 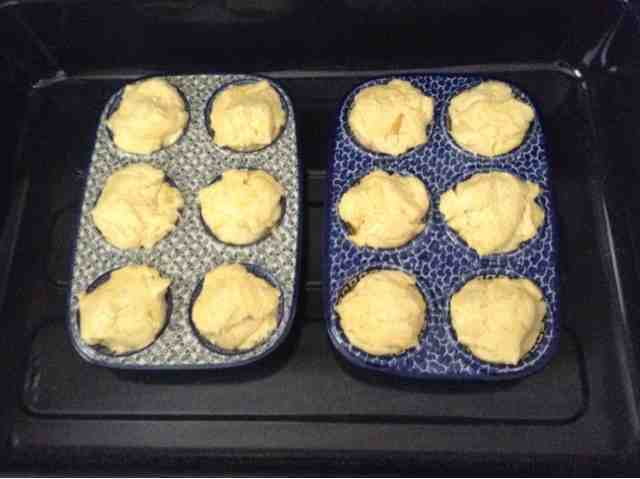 Place your muffin pan into your warming drawer or oven, cover with parchment paper sprayed with cooking spray, and allow your buns to rise for 30 minutes. I turn my warming drawer off when I put the buns in. After the buns have risen at least slightly, place them in an oven preheated to 350 degrees. Cook for about 17 minutes in the middle of the oven until nicely browned. I drizzle them with a mixture of powdered sugar and half & half. You could also make a glaze out of powdered sugar and heavy cream, powdered sugar and milk, or powdered sugar and water. I love to eat my Easter Bread warm, with a little bit of butter. You can view our entire Easter menu in my Easter in July blog post. 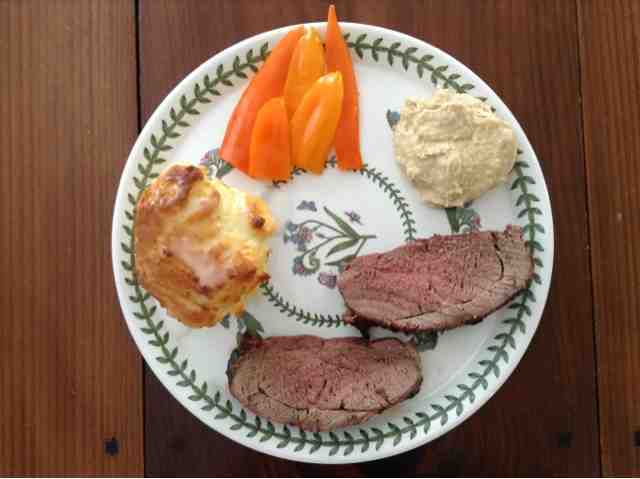 We serve a lamb roast, homemade white bean hummus, lemon risotto, green beans, and Easter Bread. Last Easter, my gluten eating extended family was doubting my Easter Bread was going to be any good. They all loved my Easter Bread Buns and were disappointed that everyone only got one! 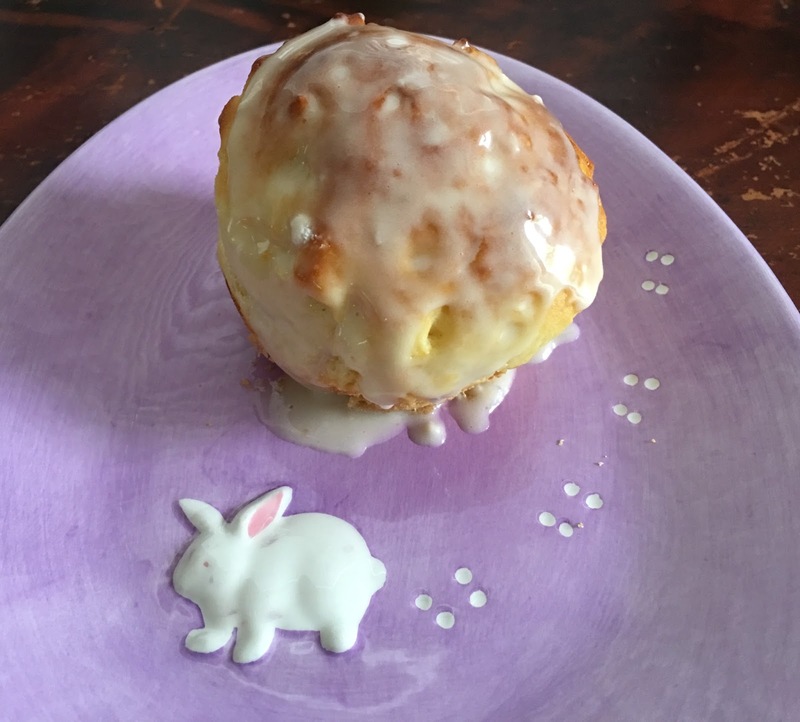 My mom now uses this Easter Bread recipe, because it is so easy to make. 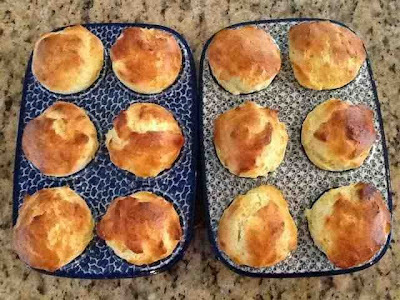 My parents do not need to eat gluten free, so she uses wheat flour. 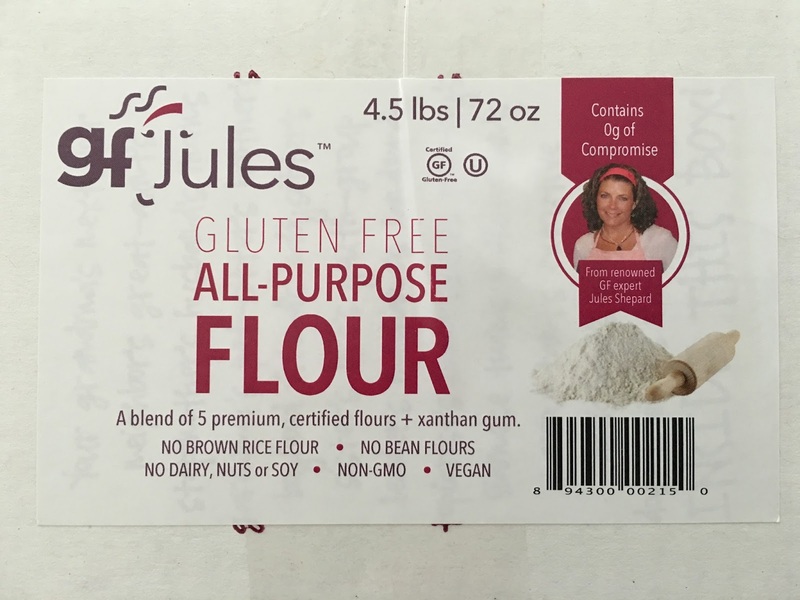 If you need to eat gluten free, I recommend using gfJules Gluten Free All-Purpose Flour in this recipe. 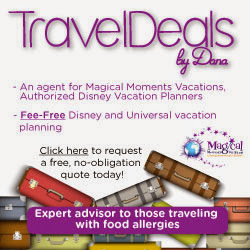 It contains expandex, which other all-purpose gluten free flours do not contain. 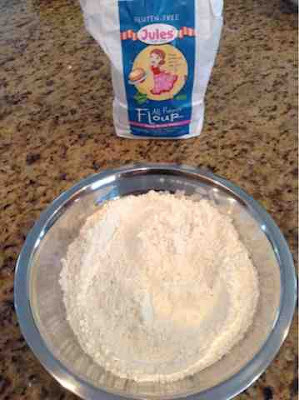 I doubt that this recipe will work well with any other gluten free all-purpose flours. This year, I used Chobani yogurt and grapeseed oil for the first time, and weighed the amount of flour I used. My new muffin scoop (heaping) came in handy to portion out the batter, which gave the buns a better shape. The bread rose much better than it did last year, and with the glaze I made from heavy cream and powdered sugar, I thought my Easter bread buns were the best they have ever been. My Easter Bread recipe was inspired by a Jules recipe for Gluten-Free Challah with Apples & Raisins. This recipe can easily be adapted to be dairy free by using a non-dairy yogurt. Thank you sounds delicious ! These rolls look terrific! Thanks for sharing on Gluten-Free Wednesdays. Happy Easter! Thanks Shirley! I hope you had a great Easter! 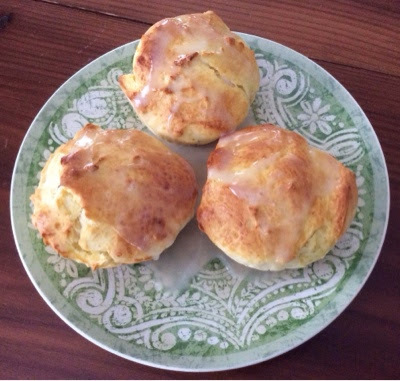 Have you made these with Cup4Cup? I love Cup4Cup for baked goods, but I would not use it for this recipe. GF Jules flour contains ingredients needed to make bread. Cup4Cup is not a bread flour.